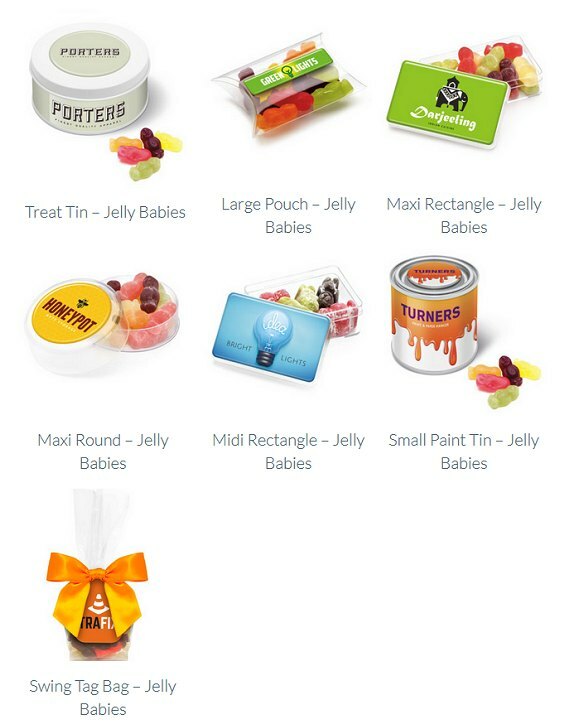 Branded Jelly Babies logo printed promotional items. Here's our selection branded Jelly babies with logo printed wrappers and container lids for promotional gifts. Jelly Babies are available in these logo printed containers: Calendar Tin · Large Pouch · Maxi Rectangle · Maxi Round · Midi Rectangle · Small Paint Tin · Swing Tag Bag · Treat Tin.